It was a real blessing to be invited to participate in this year’s Auckland Writers Festival. I took a writing workshop and did two talks. When I taught English at Tangaroa College, I used to bring my students to this festival. 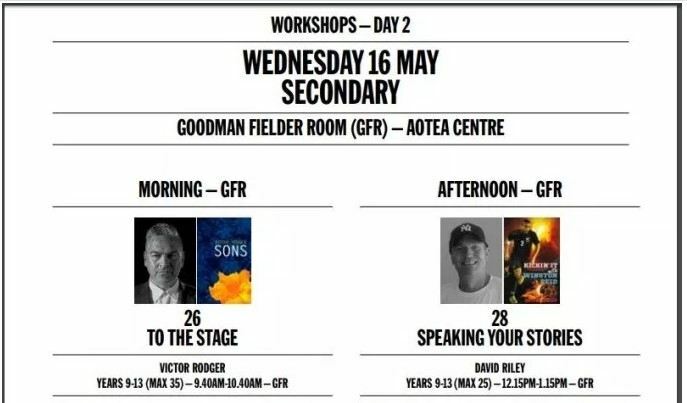 I remember thinking one time, “Man it would be cool to be part of this one day.” I never actually believed it could happen,that David Riley could be in the festival, with my secret dream of being a writer – secret because I never told anyone because I doubted I could do it. Lucky I have people in my life, like my wife Debbie, who believe in me, encourage me and push me to be brave. It’s so cool to have people who help us achieve things we imagine and dream about.